Rabbi Tovia Singer joins Ira Michaelson and Rod Bryant live on air to explore one of the most ecstatic and debated apocalyptic passages in the Jewish Scriptures. Who is the one who “comes with the clouds of heaven, like the son of man” in Daniel’s night vision? (Daniel 7:13) Missionaries claim that this verse describes a divine messiah. As it turns out, the gospels frequently quoted this verse as a reference to Jesus. 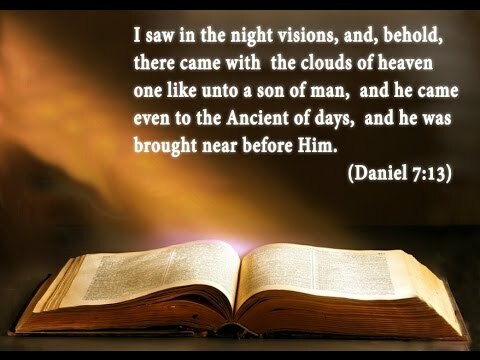 Who did Daniel see in his vision? Why did Daniel call him “like a son of man”? Why does he come with the “clouds of heaven? 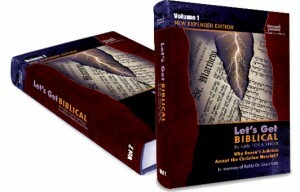 If you are fascinated by End Time prophecy and cherish the Jewish Scriptures, do not miss this exciting show. Prev:If Angels Don’t Have Freewill, Do They Know the Difference Between Good and Evil? Next:Why do Christians Become Enraged When Fellow Parishioners Choose to be Chosen? This truly was delicious….dripping with honey. Rabbi Singer you have taught me so much about Tanach. Truly inspiring? I am Jewish and I feel blessed to be a Jew when I listen to you. Rabbi Singer you are a wonderful teacher. I am a Jew and you make me feel truly blessed to be a Jew. Rabbi Singer, I can’t believe all that I have learned from this amazing lesson, of Who is the One to Come with the Clouds of Heaven Like A Son of Man? Awesome, Awesome!!! Just a matter of troubling some one? I’m a Muslim Arab, and being a Semite with knowledge and understanding of Semitic languages, one is amazed at how Christians can miss out that “son of man”, in the Hebrew bible, is “ben-‘adam”, meaning “son of Adam”, so unless Adam is another person in the Christian trinity, Yeshua has nothing to do with being any son of God, God forbid. But as a Muslim, I do believe Yeshua is the human Jewish messiah, a servant of God only, born of a virgin mother by God’s word “be”. Keep up the good work, Hacham.